A year ago My Vision Records had just been born with their first release called „Afrikan“ by Blakwood. Now they are proud to welcome MFS: Observatory, a young Italian duo coming from Naples with their incredible tracks „Coming To Town „&“ Bolero“ two real bombs cut for the dancefloor. 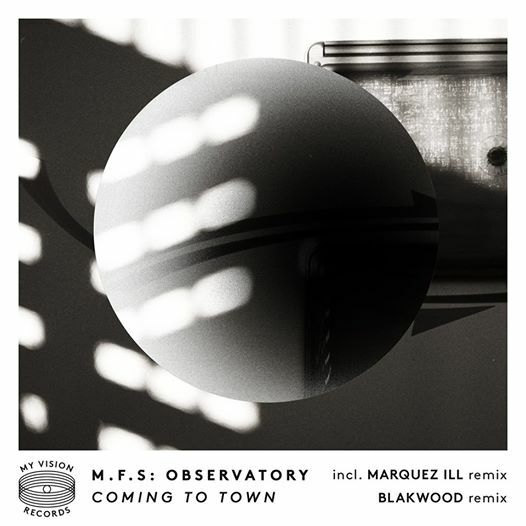 On the remix side, they are more than honored to have Marquez Ill, talented Berlin producer and co-owner of Voltage Musique Records and of course Blakwood is back with its personal and wonderful sounds..